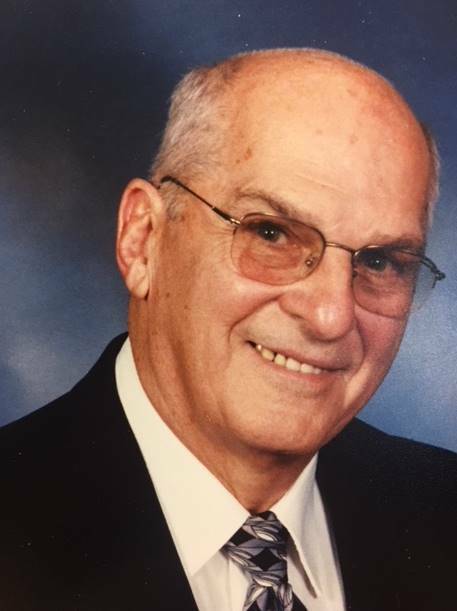 Edward Garasic, age 84, passed away on April 30, 2018, at Prairie Rose, Tulsa Oklahoma. Edward was born on September 8, 1933, in Youngstown, Ohio to Frank Garasic and Barbara Novosel Garasic. He graduated from Woodrow Wilson High School in 1951 where he played football and baseball. Ed retired from Youngstown’s Waste Water Treatment Plant after 36 years with the Department. He was a chartered member of the Plant’s United Steelworkers’ Union #6897, where he held the offices of President, Vice-President and Recording Secretary. He was also a member of Sts. Peter and Paul Croatian Church where he served as a councilman and usher for many years and was a member of the Men’s Holy Name Society. Ed played baseball for, and managed the Youngstown Old Timers. He managed the Niles Seniors team (50+) and also played in Class “B” for Brown Drugs, played fast pitch softball for General Fireproofing, Local #1331, and Hillcrest Tavern. Ed played slow pitch for the A.C.C. Club, Lansingville Sportman’s Club, and Farmer’s Pride whom he also managed. He was an active member and was Honored by the Greater Youngstown Old Timers Association, where he also held the office of President and was inducted into their Hall of Fame in 1994. In 1986, Ed was awarded from the State of Ohio the A.A.B.C. Award for his service and dedication to Connie Mack Baseball. Ed was also honored by the Curbstone Coaches where he was inducted into their Hall of Fame in 2008. In addition to being a loyal and devoted baseball fan, his other sports interest was bowling. As an avid bowler, he bowled in the G.F. League, Sokols League, Triple “A” at Old Gran Lanes (A Plus Family Bowl) where he was secretary for 22 years. He was honored by being selected Secretary of the year in 1990 by the Youngstown Bowling Association. He was a member and trustee of the American Croatian Citizen’s Club and was involved in the Catholic Sokols #108, C.F.U. Lodge #66. After his moved to Tulsa, Oklahoma, Ed was a member who volunteered and was involved at St Anne’s Church in Broken Arrow and Church of St Mary, Tulsa. and three great-grandchildren, Landon McGrath, Oliver McGrath and Olivia McGrath and many nieces and nephews. Ed was preceded in death by his Parents, Frank and Barbara Novosel Garasic, his Sisters, Diane Martin, Barbara Kish, Agnes Bednar and Catherine Badovinac and his Brothers, George Garasic and Steve Garasic and his Son-in-law Peter C. Dubos. Funeral services will be held Thursday, May 10, 2018, 2pm at Church of St Mary, 1347 E 49th Place, Tulsa, OK 74105.